So Thanksgiving has come and gone, we are all wishing our pants had that wonderful stretchy fabric found on maternity pants and we are dealing with all of the leftovers. 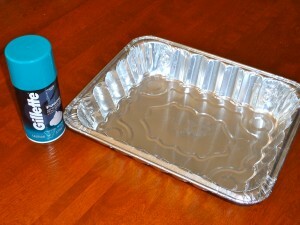 Here is an idea for a leftover you may have that will not add any inches to your waistline, a foil pan you can use with your children either as an Obstacle Course station or as a “keep them occupied” activity. This is a fun and easy activity that can be made even more fun with a few basic add-ons. 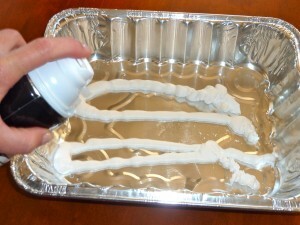 So easy and so fun along with the added bonus of having the mess, I mean fun, contained! 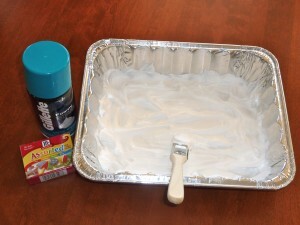 Step 1: Get a clean, empty foil pan and a container of shaving cream. 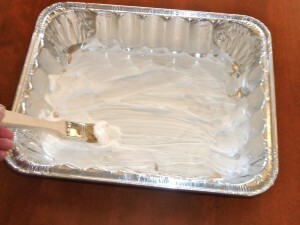 Step 2: Spray shaving cream in the foil pan. I just made rows but you could try to spray your child's name or make a happy face! 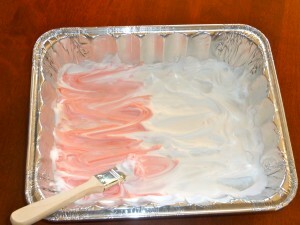 Step 3: Now it's time for your child to spread or paint the shaving cream so it covers the bottom of the pan. 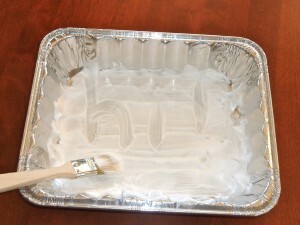 Step 4: Once the bottom is covered, it's ready for drawing or writing. When your child is finished, clean up is easy- just rinse and let dry for the next time! 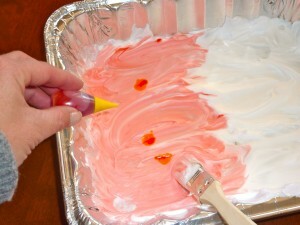 Add some food coloring drops for a colorful variation. 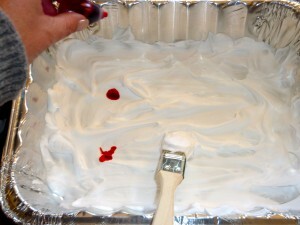 Here, I added some red food coloring drops to the shaving cream. Use a spoon, brush or spatula to mix the food coloring into the shaving cream. 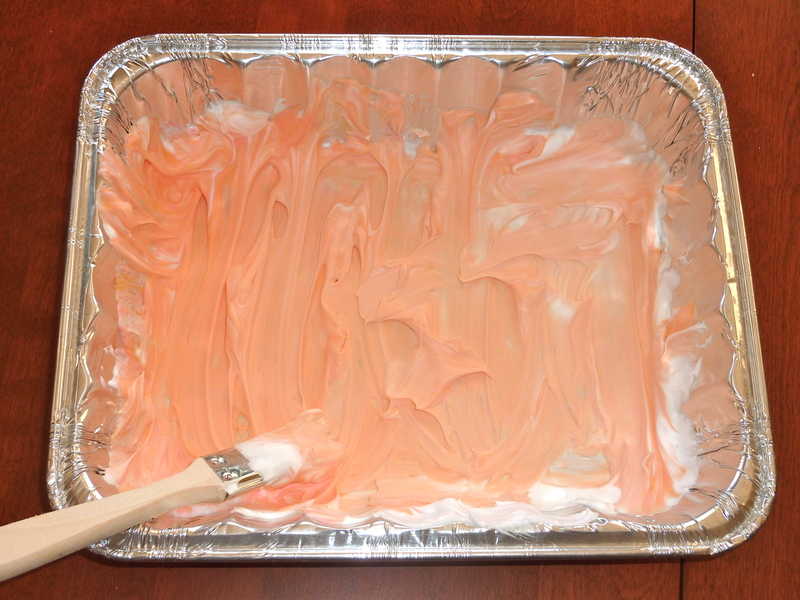 I wanted some autumn colors so I added some yellow food coloring drops to the red to make orange. Orange shaving cream ready for some drawing, writing or more painting! 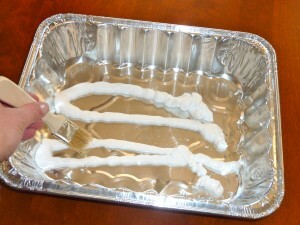 Rinse and dry when finished so it's ready for the next time. 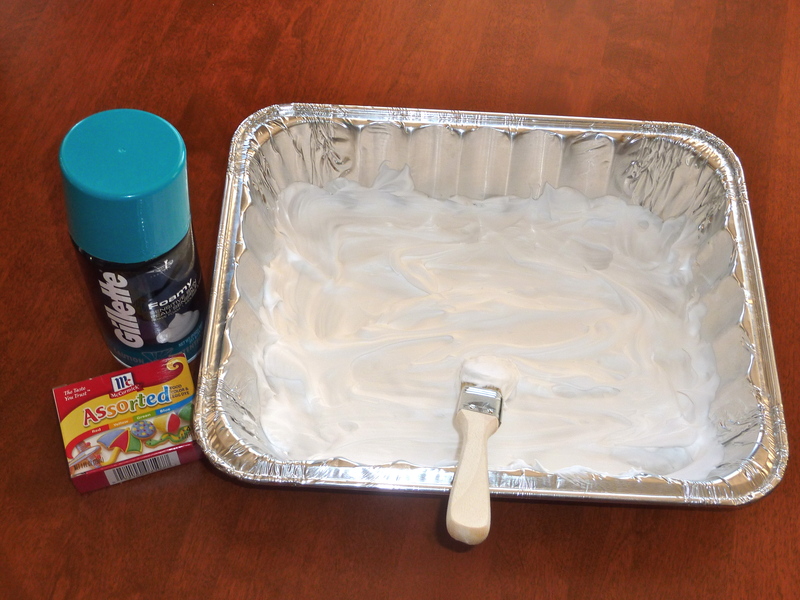 Some of you out there will have children who cannot wait to get their hands into the shaving cream as soon as it is squirted into the foil pan. I do not have one of those children, he’s getting better, but he’s more likely to do something like this if he has some tools to protect his hands from getting gooey. 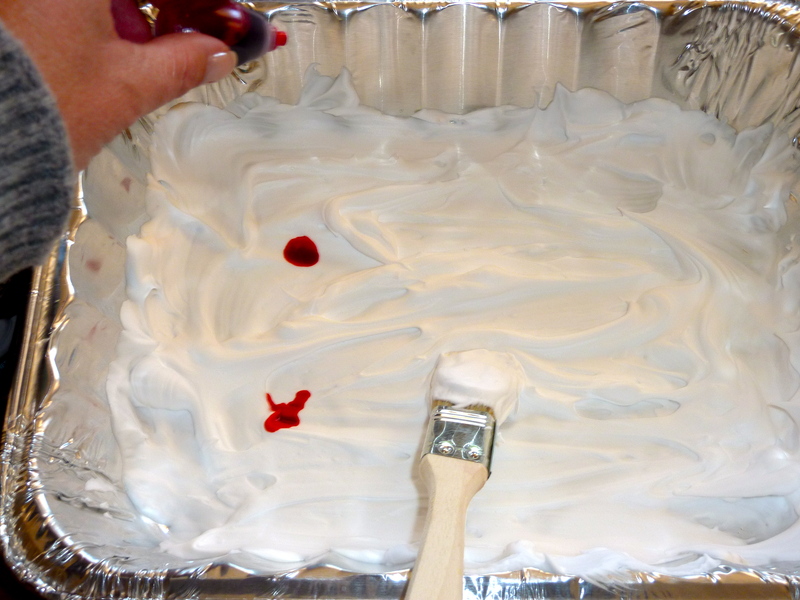 I have used pastry brushes, both silicone and the regular kind, with him so he can “paint” the shaving cream across the bottom of the pan. 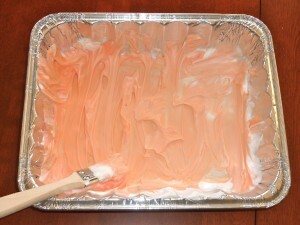 A spatula also works well for this activity. 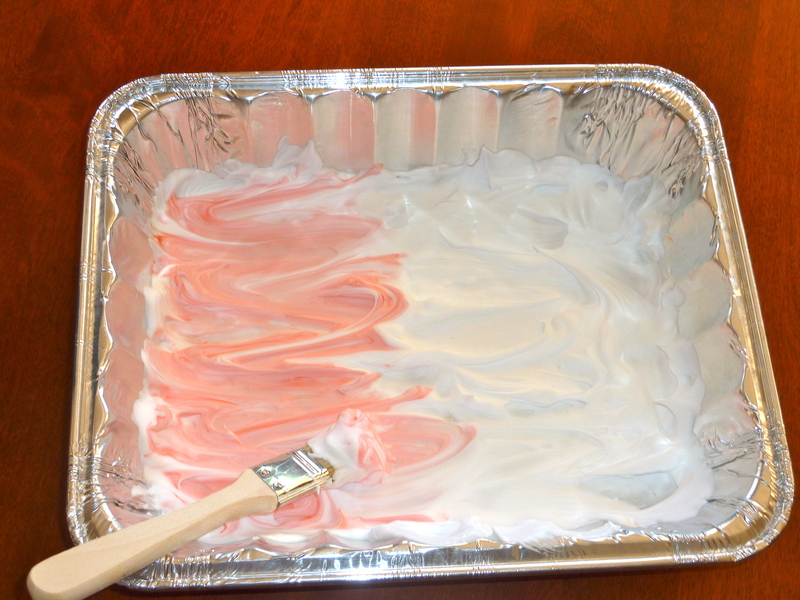 I like to add some drops of food coloring around the shaving cream so he can experiment with mixing in the color as well as combining the colored cream to make different colors.